Cleaning and maintaining decorative concrete coatings need time and effort and the degree varies with the type of decorative concrete surface you have. Cleaning and maintenance may be simple if you have to deal with only dry leaves and dust, but for chemical or liquid spills you need immediate action with non-abrasive chemical cleaner and a wet mop. The best way to prevent stains is to coat your decorative concrete surface with any commercial grade and good quality floor wax or use floor mats in high traffic areas to prevent scrapes and scuffs. In order to maintain the shine and sheen of the decorative concrete coatings, you have to take care of the sealer apart from regular cleaning. Refresh your sealer, occasionally, as clear sealer can prolong the life expectancy of the concrete surfaces considerably, apart from enhancing its appearance as well. You can have different types of clear sealers, ranging from matte to high-gloss finishes, and choose the one that you like best. Make sure that you choose the right cleaning products so that it does not degrade the sealer or cause any yellowing. 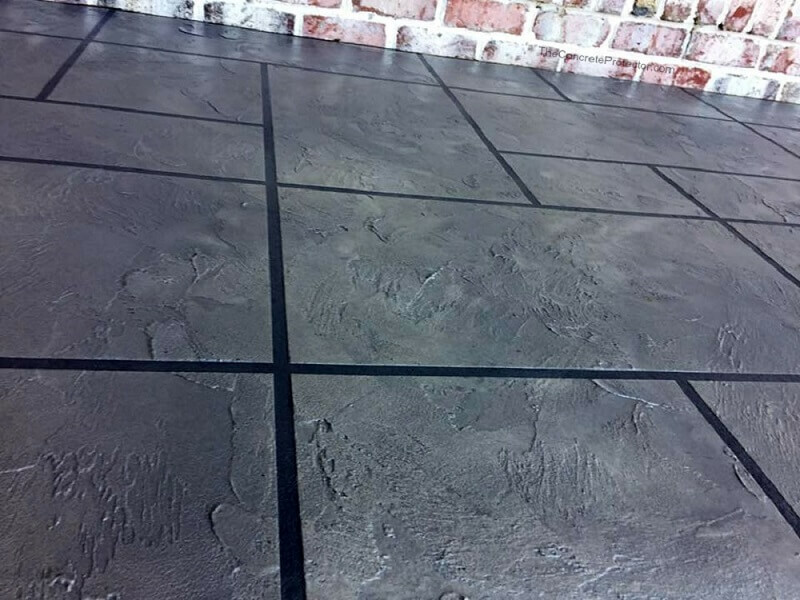 Choosing the right product is very necessary according to the type of surface you have, such as for your garage floors, residential floors and outdoor surfaces. Always finish the cleaning process with an acrylic finish coat for maximum durability. It is best to contact a professional if you are unsure. You must follow a strategic process to maintain and clean the decorative concrete coatings on the surface. The process to follow starts with cleaning the surface. Sweep away all debris, accumulated on a regular basis, with deeper cleaning at times. Usually, a bit of soap and water to scrub and mop the surface is enough. Leave it to dry naturally but if you have guests coming over, use a large fan or a leaf blower to expedite the process. However, the best way to achieve perfect cleaning is by letting the surface dry naturally, just like a professional would also suggest. Seal the concrete at the time of installation of the patio. This is very important and can be done by using a commercial graded sealer. Sealing the concrete once it is placed ensures good shape of the concrete. 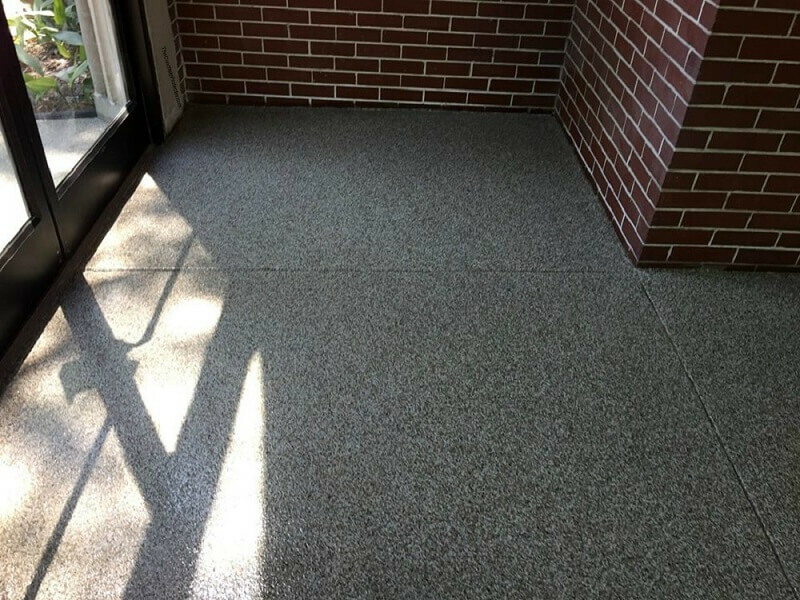 At the same time, this process can help you to prevent the decorative concrete coatings on the surface from experiencing any adverse weathering effects. There are lots of benefits of using a proper and commercial grade sealant on the decorative concrete coatings. The sealant will ensure that the luster on the concrete surface is retained for a longer time, provided it is applied within a few months after the construction of the surface. If you continue to reapply the sealer after every couple of years after that, the sealant can provide more durability and aesthetic appeal. However, the number of times you need to seal the concrete depends on the amount and type of traffic it experiences and the geographic location as well. You must also make sure that you consult a professional to know about the best sealer to use and the best cleaning methods. There may be times when you will need to resurface the existing concrete and for this process, a stamp mix is a splendid product for the best results in a short time. These are strong with lots of fiber and it is easy to use as well. All you have to do is prep the concrete, as usual, prime the surface with concentrated resin and allow it to stiffen. Stain and seal when it is dry.